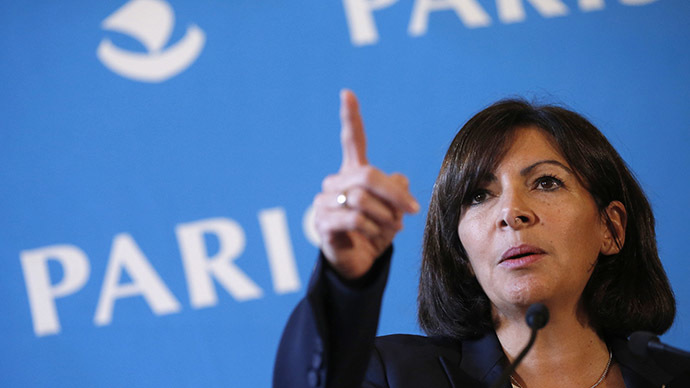 Paris Mayor Anne Hidalgo has said she plans to sue Fox News after it broadcasted incorrect reports of Paris “no go zones” governed by Sharia law, which non-Muslims are forbidden to enter and police avoid going to. Hidalgo clarified which network she is planning to take to court saying: “Fox News, that’s the name.” The decision to sue the US broadcaster comes in response to multiple false reports that described several areas of Paris and some cities in the UK as “no-go zones” for non-Muslims and authorities. The reports looked at the European Muslim population and followed the Paris terrorist attacks on Charlie Hebdo satirical weekly and a kosher supermarket, which were carried out by Islamist gunmen earlier in January. Meanwhile, in France the reports have been widely mocked by TV shows and comedian programs. One television program, “Le Petit Journal,” decided to poke some fun at the US network by sending one of its correspondents to the alleged “no-go zones” to ask the residents how dangerous these districts really are. “Have you seen some people with Ben Laden T-shirt in this area?” asked the show’s correspondent to a Belleville district resident. “No. No,” the puzzled man replied. “PSG, Marseilles – yes,” he added referring to football shirts worn by fans. In another episode, “Le Petit Journal” TV show sent comedian correspondents Mike and John – a parody of Fox News reporters to these allegedly dangerous areas. RT’s Anissa Naouai addressed Fox News in her program “In the Now” urging the US broadcaster to apologize for using the Paris terror tragedy to push their own gun-law agenda.